Didi Hirsch’s Psychology Practicum Training Program provides 3rd- and 4th-year graduate students pursuing a PhD or PsyD in Clinical Psychology with in-depth and comprehensive experience in a community mental health setting that serves children and adults living with serious mental disorders. Much of the work uses treatments from a cognitive/behavioral perspective and includes opportunities to learn evidence-based treatment models such as Seeking Safety and Crisis Oriented Recovery Services. Students work in our outpatient clinics in our Adult or Child/Family programs and we provide direct, practical experience with the range of clients and problems found in a community mental health center. Our client population is extremely diverse in a variety of areas: ethnically/culturally, gender, sexual orientation, age, etc. All are in the low socio-economic range. Training experiences include: individual, group and family therapy, possible field experience, participation in multidisciplinary team meetings, consultation with other mental health professionals, training in DMH documentation, attendance at monthly educational seminars and individual and group supervision. With intensive supervision and formal teaching presentations, students gain knowledge and experience from our practical, hands-on approach. We emphasize both depth and breadth of experience and the quality of supervision and teaching. Students are given considerable responsibility in order to prepare them for more independent work during the course of their careers. 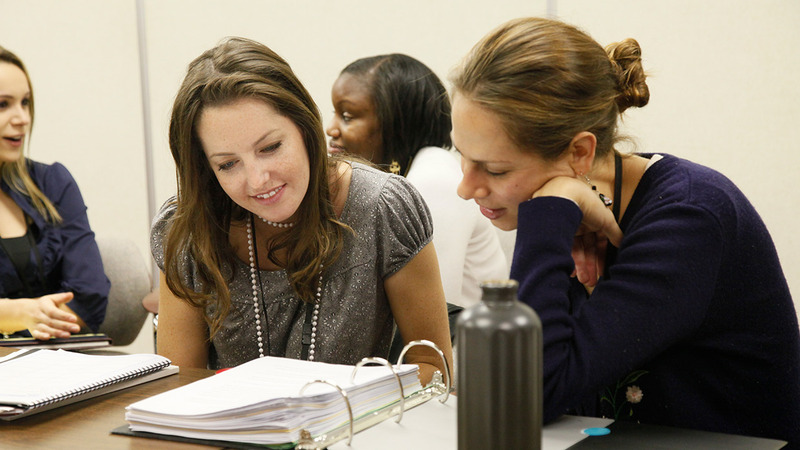 Download our Psychology Practicum Training Program brochure. Psychology Practicum students who want to work with adults are placed at the Didi Hirsch Sepulveda site in Culver City or the Didi Hirsch Inglewood site. The Adult Services programs provide specialized services to adults with severe and persistent mental illness, which has led to frequent hospitalizations and/or homelessness. Diagnoses include Schizophrenia, Bipolar Disorder, Major Depressive Disorder and Post Traumatic Stress Disorder. Practicum students work on multidisciplinary teams in settings such as work, home, hospitals or courts to help clients remain in the community and achieve the highest possible level of functioning. Activities include intake assessments, treatment planning, individual and group psychotherapy and crisis intervention. Treatment modalities used and taught in the program include: Cognitive Behavioral Therapy, Seeking Safety, Crisis Intervention, Recovery Principles, Motivational Interviewing and Mindfulness, to name a few. Attendance in weekly team meetings is strongly encouraged and field work is required. Psychology Practicum students who want to work with children and families are placed at our Didi Hirsch Inglewood (bilingual Spanish required) or Didi Hirsch Glendale sites. Children in this program range in age from 4-18. While the majority of children and adolescents are diagnosed with disruptive behavioral disorders, clients are also commonly diagnosed with mood and/or anxiety disorders, psychotic disorders and pervasive developmental disorders. A significant number of clients are children who have been victims of abuse, neglect and/or trauma. Practicum students are involved in intake assessments and group, family and individual therapy. Treatment modalities used and taught in the program include: Trauma-Focused Cognitive Behavioral Therapy, Seeking Safety and Family Therapy. One Child/Family position may focus on training in intervention and assessment with Birth-to-Five populations. Attendance in weekly team meetings is strongly encouraged. Students are assigned 5-7 cases in their program for which they provide individual and/or family treatment as indicated, and may also facilitate a therapy or psycho-educational group. Students are given the opportunity to conduct initial assessments which include a DSM diagnosis. The students are fully integrated into treatment teams. Work with clients may also include field visits to wherever the client is living, depending on the placement site and program. Some school-based services may be provided within the Child/Family program. Students have the option to participate in our Consultation, Education and Prevention program. This community outreach project provides students with the opportunity to work in the community, providing outreach focused on mental health awareness and reduction of stigma to members of community agencies, schools and other community groups. The student is given a list of projects to choose from. Past projects have included facilitating a support group related to a health diagnosis, psycho-educational presentations at a senior center, and facilitating a 10-week educational group at a school. All students are required to attend monthly educational seminars which provide instruction on a variety of mental health topics and specific intervention techniques. This training provides instruction on a short-term crisis intervention model, which prepares students to use this model with selected clients and is offered as funding permits. This evidence-based practice is designed for work with clients with substance use issues and PTSD and is offered as funding permits. This is a two-day intensive, interactive and practice-dominated course designed to provide skills to assess and intervene to prevent the immediate risk of suicide. This training is a two-day interactive course providing information and strategies for de-escalating crisis situations and enhancing personal safety when working with clients. Time commitment. This is a part-time (16-24 hours/week), 9-month training program. Full year possible, if desired. Practicum students start on Wednesday, September 11, 2019 and attend a full-day orientation. The training year continues through Friday, May 29, 2020 at a minimum. Stipend. A $5,000 annual stipend is available for students who are fluent in Spanish (Sepulveda, Inglewood, and Glendale placements) or Armenian (Glendale placement only) and are able to use it in a therapeutic setting. To qualify, you will be required to pass a brief language test. Supervision. One hour of individual supervision is provided with a licensed clinical psychologist. Live supervision or visual recordings of at least 2 sessions are required over the course of the year. Two hours of group supervision is provided bi-weekly. Multidisciplinary team meetings. Attendance at 1.5-hour team meetings is encouraged each week. More information about team meeting schedules will be provided upon interview. Time off. Students are given a total of 10 days of time off inclusive of agency holidays. Background check. All students must be able to pass a background check as a final condition of placement. DMH Waiver. All psychologist candidates who have successfully completed 48 semester/trimester or 72 quarter units of graduate coursework are required to obtain a California State – Department of Mental Health waiver in order to provide services to individuals at a county-contracted agency. Applicants are welcome to contact the program with any additional questions or concerns about this requirement. Students with disabilities. Facilities accommodate students with disabilities. Please submit a letter of interest, current CV, two reference letters, and an unofficial transcript. In your letter of interest, please note your preference for the Adult Track or the Child/Family Track and location (if available). Your preference for location will be taken into consideration, but Didi Hirsch reserves the right to assign you to the program/site that best matches your training experience. Applications and questions should be sent via email to the Practicum Coordinator Giselle Collins, PhD at gcollins@didihirsch.org. Didi Hirsch abides by the procedures and dates of acceptance set forth by the Southern California Association of Psychology Training Programs (SCAPTP). Completed applications are due by March 1, 2019 at 5pm. Interviews will take place the weeks of March 18th and March 25th, 2019. Offers will be extended on the SCAPTP Uniform Notification Day on Monday, April 8, 2019 beginning at 9am PST.